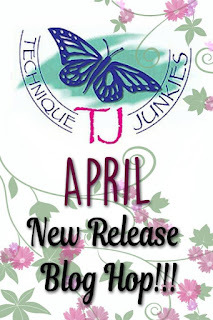 Welcome to another fabulous new release hop with Technique Junkies! I am so excited to have you join us and to show you some of the great new stamps being released this month (click HERE to see all the stamps being released in April). All the new releases are on special until April 8th. You will save 15% (automatically applied at checkout) on the new releases, and if you use the code "TJ10Ro", you can save 10% on pretty much everything else! If you have arrived from the very creative Janelle Stolfuss, you are on the right track. If not, you may want to hop back to the BEGINNING so you don't miss any of the wonderful projects along the trail. So, let's get hopping! First up is a really cool stamp called WILDFLOWERS. This image was colored with colored pencils and Gamsol, and embellished using Nuvo Crystal Drops. Next up is a super fun card featuring PARTY CHICKS (SET OF 12) and FRENCHIFIED CLOUDS. The sentiment is from the set FAIRY TALE FLOWERS (SET OF 5). I simply stamped the clouds background and then stamped the chicks where I wanted them. I then stamped the chicks again on a separate piece of cardstock, colored them with Zig Clean Color Markers, cut them out, and attached them over the stamped images. Such a fun card! This next card may just be my favorite in the release. "I am no longer accepting the things I cannot change. Now I am changing the things I cannot accept." Wow! Don't you just love it? This set is called CHANGING THINGS. 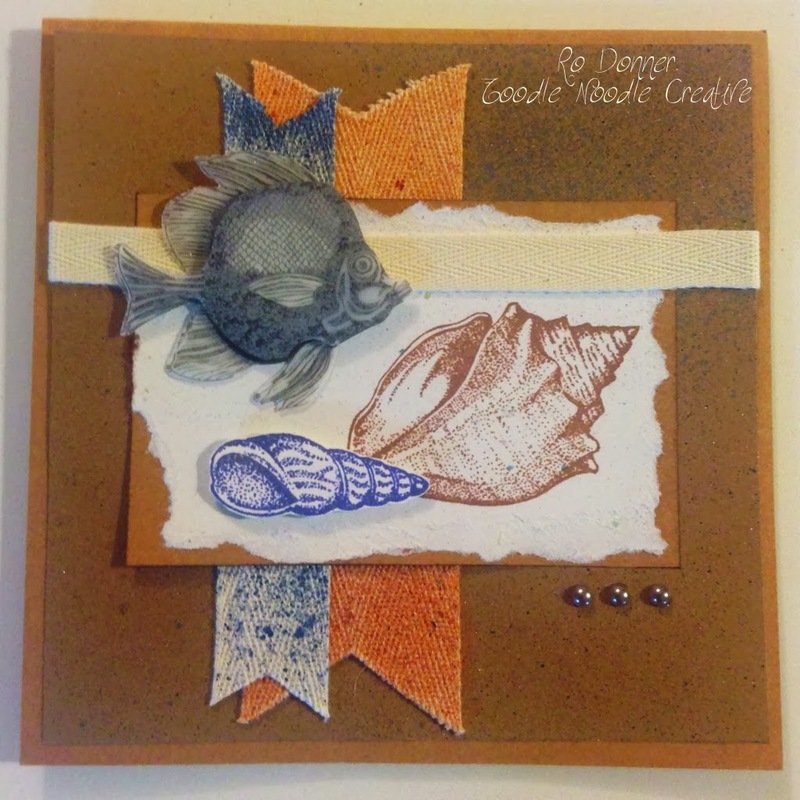 I simply stamped and embossed the image using Nuvo Embossing Powder, and used a die to cut it out. A couple more die cuts (the red corners) and some Nuvo Crystal Drops finished off this stunning card. The next card is also from the set FAIRY TALE FLOWERS (SET OF 5). I stamped the bird using my Misti and some Nuvo Glitter Markers. A couple of die cuts and a few sequins later, and we have a cute card ready to send. My last card features two stamps: FAIRYTALE FLOWERS and SOUL TO DANCE. I stamped the flower background and colored it in using Zig Clean Color Markers. I then stamped the sentiment on a piece of vellum and attached that to the front of the background. I added a few sequins and some Nuvo Glimmer Drops to finish off the card. Well, there you have it. Hope I was able to give you a little inspiration today. 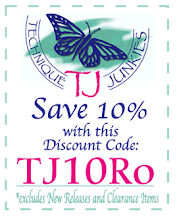 Remember, 15% off the new releases until April 8th. For anything else, use the code below (this is good any time, no expiration!). Your next stop along the way is the talented Judy Jackson. I'm sure you're going to love what she has to share with you.